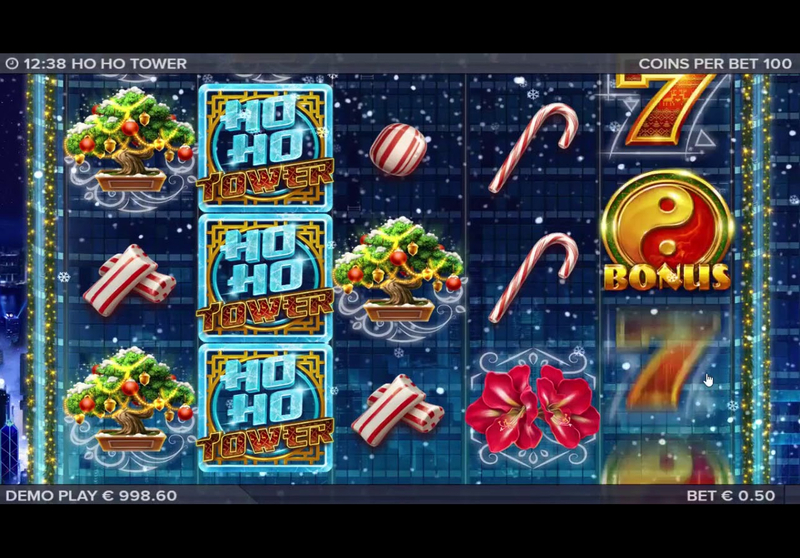 Ho Ho Tower slot is a festive-themed title by Elk Studios, based another one of their popular games - Hong Kong Tower, but with a few subtle changes. This slot offers 5 reels over 3 rows and 99 paylines spread over the game. It is available across all devices including mobile, tablet and desktop. The game takes us to Hong Kong at Christmas time, with Candy sticks, treats, Christmas trees and more. The game includes a Mystery feature, where the Ho Ho Tower symbol transforms into another symbol, offering bigger chances of winning. The games main bonus feature is the Wheels of the Sky Bonus, which allows you to spin the wheels to win cash prizes – with the biggest prizes saved for the 3rd and final wheel. If you enjoy festive themed slots then you should also check out Secret Santa from Microgaming or Merry Xmas from Play'n Go both of which offer plenty of festive fun.